So the other day, I posted this photo on Instagram and the shoes garnered some interest. So for anyone interested, you can get these shoes HERE. 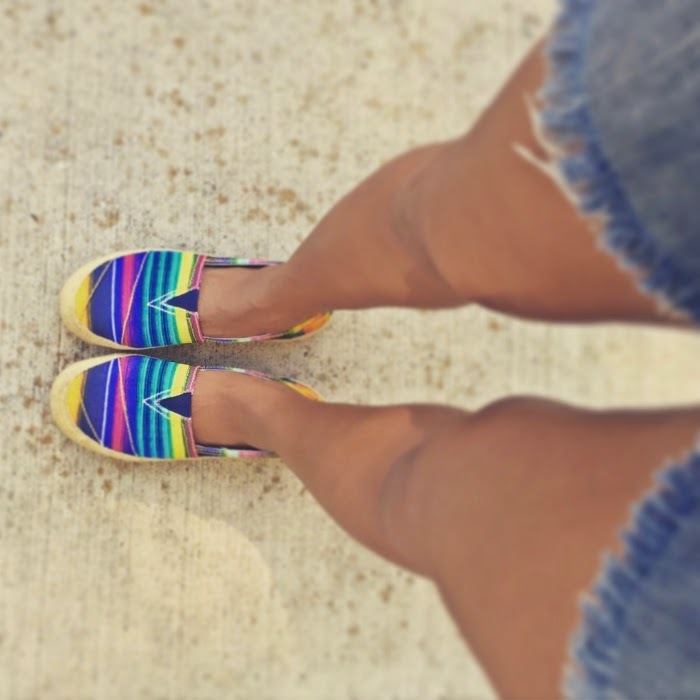 They are super cute, comfy and colorful--which is my kind of look. I had to size down a half size, just an FYI. This espadrille-style shoe comes in other solid colors as well.